Office Management‘s job is to organize and supervise all administrative activities required for the smooth and efficient operation of the company. However, Inchoo‘s Office Management crew also manages some internal projects or participates in them. 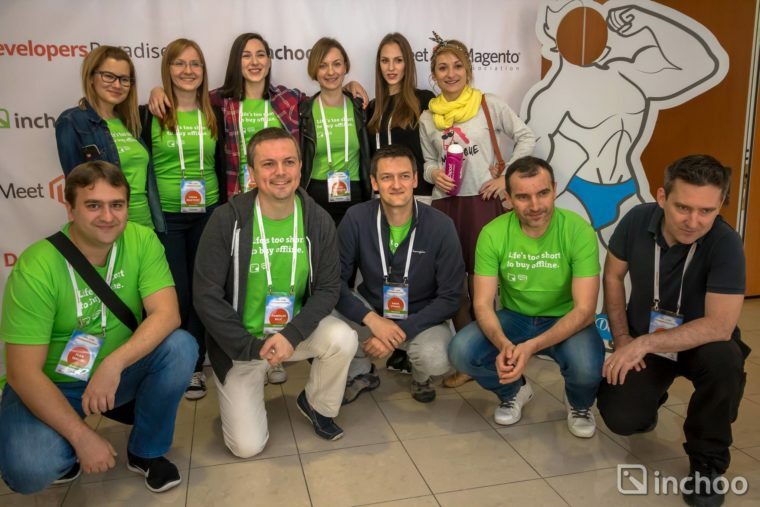 Since the beginning of Inchoo, 8 years ago, the largest internal project certainly was Developers Paradise conference, and I had the honour of being in charge for the organization. We already wrote about the conference, but in this article I would like to reflect more on the organizational aspects and the challenges we faced and how we resolved them. Developers Paradise is a conference for Magento developers and a Meet Magento Association brand. 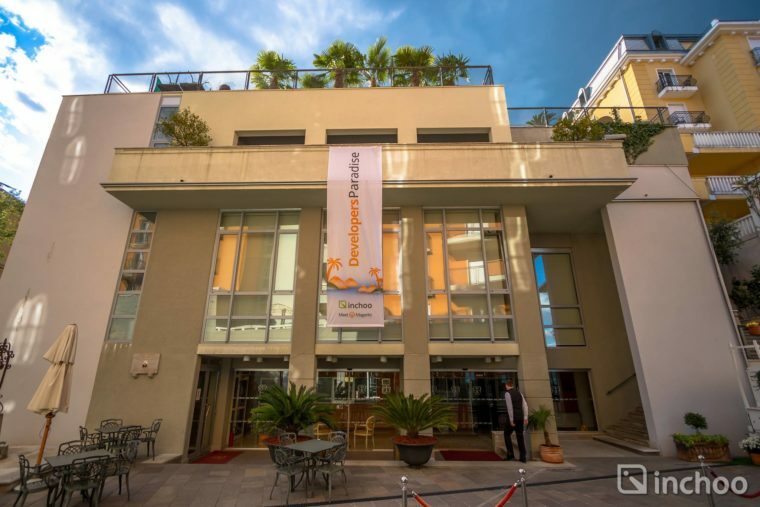 It has been organized 5 times, once a year, on Spanish islands Mallorca and Ibiza by German company Netresearch, but because of the low attendance and lack of interest of the Magento community for the last event, the conference wasn’t organized for 2 years. We decided to test whether that’ll be true if we tried organizing it this year. 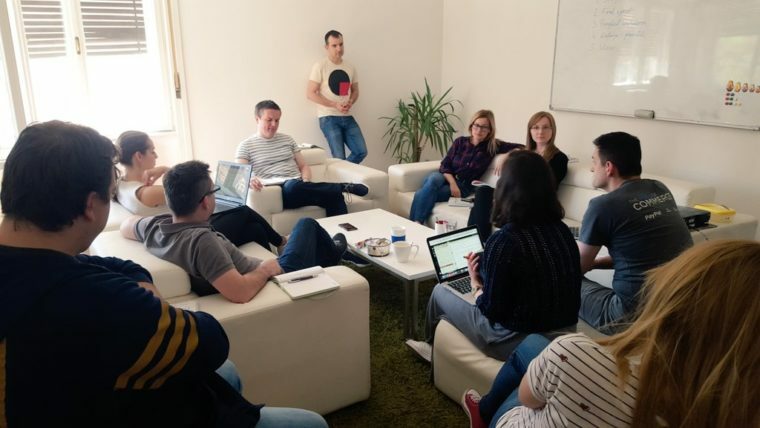 In order to avoid overlapping with other Magento conferences, we were given a date for organizing the conference (end of April), but almost everything else was up to us. Where to organize it and why there, for how many people, what price we’ll put and what it’s gonna be included, and many other issues. We started with the organization 10 months prior the specified term, and the first 3 months we have been working in low profile mode, only a few people knew that we are planning to organize this conference. Location, location, location! 🙂 Once we decided we want to organize Developers Paradise and after we agreed everything with the brand owner, we started looking for the best location for this event. After we took a variety of reasons into consideration (distance from different airports, accommodation, attractiveness of the location, facilities), we chose Opatija, beautiful old coastal town with developed congress tourism, 180 km from Croatian capital Zagreb and 450 km from Inchoo’s HQ in Osijek. It was also used to be a favourite summer resort for the Habsburg royalty back in the days. We found a great hotel complex with required capacity, but also with a possibility for an increase, just in case. Initially we planned a conference for 100 people, with a quiet hope we’ll go closer to 150. At the end there were 238, but more about that later. As a part of the organizational team, 11 people were actively involved in the organization during 8-9 months period, to create a website, to perform marketing activities and sales processes, a story telling design about the motto of the conference “Lots of Code and Fun and the Sun”, to ensure desired technical requirements, to communicate with delegates, speakers, hotel, and everyone else involved in the process. It was a long and exhausting process, but then came even more exhausting Conference. 1. A good team makes for a good organisation! 2. Define the goals to know where you are going. 3. It’s important to decide who’s in charge for what, before and during the conference. 5. Reliable partners, clear agreements and thinking all the “what ifs” through. 6. Communication is very important, both internal and external. 8. Be aware of all advantages and disadvantages regarding location, term, team, partners, budget and so on. 9. There will always be some problems. Solve them promptly, don’t let them to escalate. 10. Be prepared for changes on the go, unexpected things will happen. See you at another Meet Magento conference! Meet Magento Croatia 2017 – save the dates!